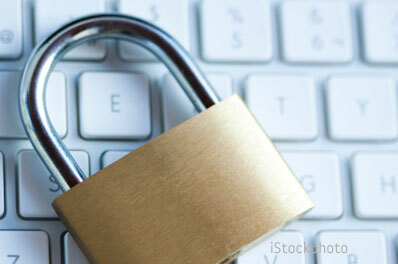 See our new article on simple ways to protect your privacy, posted on 2/2/201. That's because your personal information, including your email address, phone number and social security number, is worth a lot of money to legitimate businesses and bad guys alike. The bad guys just want to steal from you. Companies want to know as much about you as possible so they can sell you more products and services or serve you ads that are highly relevant to your demographics and preferences. 1. Don't fill out your social media profile. Plus, if someone has the last four digits and your birth place, it's a lot easier to guess the entire number. That's because the first three are determined by where you, or your parents, applied for your SSN. And the second set of two are the group number, which is assigned to all numbers given out at a certain time in your geographic area. 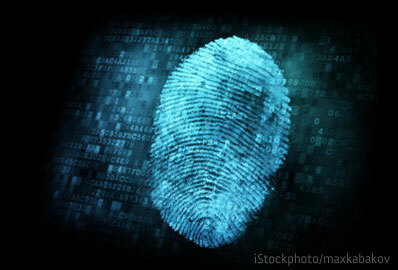 So a determined identity thief with some computing power could hack it given time. And, make sure your computers and mobile devices are loaded with anti-malware apps and software. They can prevent prevent criminals from stealing your data. We recommend Norton Internet Security ($49.99 on norton.com or $17.99 on Amazon) in our computer security buying guide or stepping up to Norton 360 Multi-Device ($59.99 on norton.com or $49.99 on Amazon) if you have mobile devices. And, you'll want to double up your protection on Android devices by installing , since we found anti-malware apps are dismal at detecting spyware. If you don’t want anyone with physical access to your computer to see where you’re hanging out online you should enable "private browsing," a setting available in each major web browser. It deletes cookies, temporary Internet files and browsing history after you close the window. You can lock down your Facebook, Google, Dropbox, Apple ID, Microsoft, Twitter and other accounts with two-factor authentication. That means that when you log in, you'll also need to enter a special code that the site texts to your phone. Some services require it each time you log in, other just when you're using a new device or web browser. The Electronic Frontier Foundation has a great overview of what's available. 10. Don't give our your zip code when making credit card purchases. Often stores will ask for your zip code when you're checking out with a credit card. Don't give it to them unless you want to donate your details to their marketing database, warns Forbes. By matching your name, taken from your credit card, with your zip code, companies can more easily mine more information, including your address, phone number and email. address. It’s not always possible to refuse to give your zip code. For example, many if not most or all of the gas stations around where I live and work (northern Virginia) request the ZIP code—at least if you’re paying at the pump and using your card as a credit card. Hint: Note that stores most commonly do this when you’re paying with a credit card. That’s because each merchant is commonly held responsible for making sure each transaction is legitimate. If the card was stolen and the true owner requests a chargeback for the transaction, guess who ends up eating it? If you guessed “the merchant,” go to the head of the class! The card owner sure won’t do it, and s/he doesn’t have to as long as the report was made in time. The bank likely won’t either, and good luck (1) catching the thief and (2) getting any money out of him/her. Do you recommend that, whenever possible in face-to-face transactions, consumers instead use debit cards and type in their PINs? It’s understandable why gas stations need to use zip to verify identity (NYC Metrocard terminals do, too) since they don’t interact directly with the customer. But merchants at the checkout register have other means, such as asking for ID. So it never hurts to ask the merchant “Why are you asking for my zip code?” When I’ve asked, the answer is almost always for marketing purposes. Which is not surprising, because they often ask for my zip AND my email address. That’s what I mean. The clerk asks for a way to verify you are who you say you are. And of course, that (like your driver’s license or non-driver ID) generally includes your zip code and therefore makes the whole question of asking for your zip code moot. On the other hand, I often use a check card that includes my photo, therefore generally alleviating the security concerns. This happened to me the other day when making a cigarette purchase for a friend at the Dollar store. I don’t mind showing my license to verify my age but scanning it? I am guessing they do this to keep their employees honest but when is that my problem? ...by erasing the last three figures on the back of your card with a knife - and write them down elsewhere! I have had stores require me to give them my drivers license so they can swipe it to verify that they were not selling to a minor.I also have noticed after I used my debit card at Ross’ I always get notified by my bank that someone is illegally using my card. Once Ulta offered me a Magazine at check out I took it and the next thing I know I’m receiving a magazine every month then I noticed a renewal charge on my credit card, I never authorized this! I guess we are all at the mercy of out right PIRATES! Thieves have been around since the beginning of time, and no one can do anything about it but just hope you are not the next victim. It’s a very informative article about securing your privacy through different ways I want to add my view as a Point# 12: If you are looking for other alternate that is much easier like methods mentioned on above then you simply move to some good VPN Service , on just one click with the help of VPN you can hide your personal identity, secure your data through encryption and unblock the favorite channels you like here I also found a good post about VPN review http://monkeyvpnreview.com/blog/find-out-why-ipvanish-review-deserve-4-5-rating/ and this post is about How VPN is helpful and why this VPN service is better than all others existingVPN in the market. Trust no 3rd Party Managers or any other off site Managers for your passwords !!! ONLY ever use your own security management by an “In-house” method like a common text file kept on a USB stick. A old 256 MB USB 2.9 would be large enough to hold your text files for the passwords you would need to generate and at the cheap price, you can use another as a backup to copy the 1st USB stick. Look at the key pattern and you can see the simple logic of using the Password ID and a pattern that is easy to remember. Obviously you can use more than 1 CAP letter and repeat the symbols after each alphabetic character. A User name instead of the email address could be likewise encrypted as the password, if a user name is allowed. NB: The 15 character mix in the above example would take a few years to crack. Don’t use common knowledge DOB, your relative’s names or any other personal information to generate a password ! Obviously when you change your information for the Adobe password you would update the required fields on the file. Before you close the file, you would use the “Save AS” option and save the file as “Adobe.txt” to ensure that the original template remains intact to use for the next establishment of a password. The files thus generated are then in Alphabetic order and easy to search for. Simple In-House security is, I think, the best method.